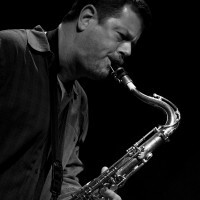 The second November resident of Krakow Jazz Autumn will be none other than Ken Vandermark. 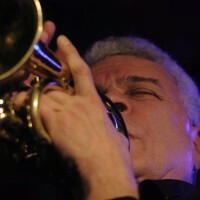 The American saxophonist, clarinetist and animateur of the jazz and improvised music scene is a friend of the festival, and has build up quite a fanbase over the years. Vandermark’s relationship with the festival started in 2005, when The Vandermark Five performed at what was then Autumn With Not Two Records. Another memorable moment was Vandermark performing with his project Resonance (where he shared the stage with another one of this year’s Krakow Jazz Autumn’s residents, Per Åke Holmlander). This time around, Vandermark will be accompanied by a stunning number of ten musicians: Danish saxophonist Mette Rasmussen, two British improvised music legends – drummer Eddie Prévost and pianist John Tilbury, as well as bassist John Edwards, drummer Steve Noble, John Butcher on reeds, trumpeter Nate Wooley, multi-instrumentalist Joe McPhee, pianist and composer Ikue Mori, drummer Hamid Drake and bassist Kent Kessler. The mysteriously named project The Unexpectable remains a secret, as Vandermark himself intended. We will however have as many as four days (from November 7th through 11th) to discover Ken and his companions’ artistic design. The residency will consist of smaller shows and the final concert. 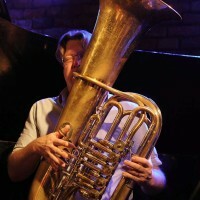 The first evening at Alchemia (November 7th) will see two duets: Vandermark and Wooley, and Noble and Rasmussen. 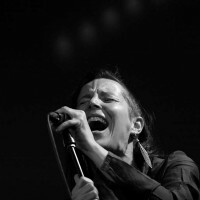 Japanese artist Ikue Mori will perform solo. 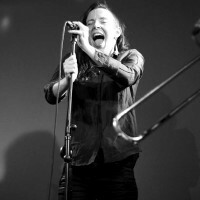 This gifted musician’s early musical career is associated with no wave and the band DNA, where she performed with Arto Lindsay and Tim Wright. 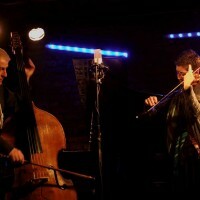 On the second night we’ll hear Mette Rasmussen, as well as John Butcher and Nate Wooley. Mori, Noble and Vandermark will perform as a trio. All fans of improvised music should definitely book tickets for the last day of the residence. On November 11th, members of the influential legendary British group AMM – Eddie Prévost and John Tilbury – will be hitting the stage with Ken Vandermark. 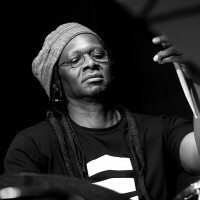 Prévost, 75, is a drummer and percussionist, one of the founding members of AMM. 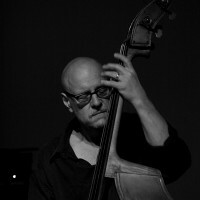 The pianist John Tilbury, an outstanding interpreter of Morton Feldman’s work, joined the band in 1980, as did cellist Rohan de Saram. 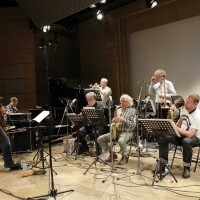 During the course of AMM’s lifetime, the band has seen collaborations with such notable musicians as Evan Parker, John Butcher, Lawrence Sheaff and Christopher Hobbs. Their bold and approach to sound fascinated critics and listeners alike, and made AMM seminal figures in improvised music and electro-acoustic improvisation, inspiring subsequent generations of musicians. Today there are not many chances to hear Eddie Prévost and John Tilbury perform live. 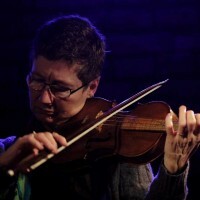 The Krakow performance will be a rare opportunity to attend a concert of two outstanding, acclaimed British musicians. 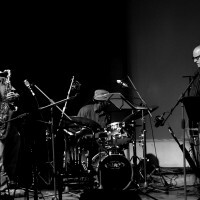 The evening will end with a performance of DKV trio (Drake / Kessler / Vandermark) featuring another legend of the jazz and improvised music scene– the trio will be joined by Joe Phee. Venues: HEVRE 7.11., ALCHEMIA 8-10.11., MANGGHA: 11.11. November 20, 21,22,23 2012 Alchemia&Manggha. 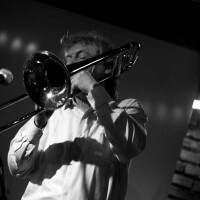 Krakow Jazz Autumn. 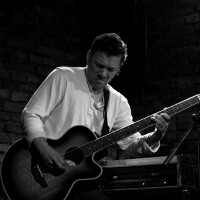 Photos taken by Krzysztof Penarski. BOUGE, November 29, 2012, Alchemia, Poland. 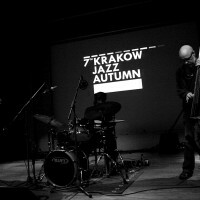 Krakow Jazz Autumn. 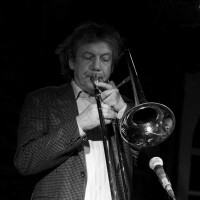 Photos taken by Krzysztof Penarski. Thursday 01.11.2012 / Manggha DKV TRIO Photos taken by Krzysztof Penarski.